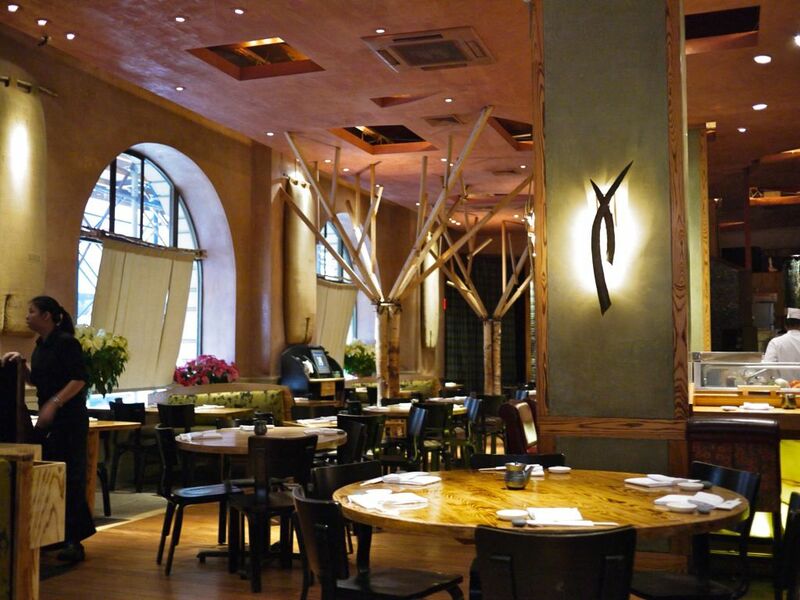 Nobu New York is one of the best known restaurants in the Big Apple and depending on which list you refer to, it is among the top 40 eating spots. However, given all the media attention and hype that this flagship restaurant of Chef Nobu Matsuhisa has generated since 1994, i found that new style (or innovative if you insist) Japanese food here hardly lived to its reputation. I mean.. it wasn't bad but it wasn't mind blowing as i expected it to be. And i would expect it to be fantastic given its perennial popularity and how reservations needed to be made way in advance. Thankfully our concierge gets us top tables even at short notice if not i would be damn annoyed. The interior is inspired by the Japanese countryside and warm wooden tones and stone textures were employed to create a relaxing atmosphere for dining. 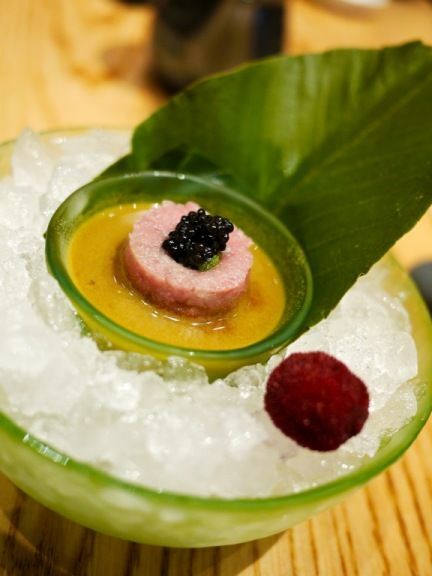 The Lunch Omakase is very reasonably priced at US$65/75 and that allows you a taste of their signature dishes. We did that and added 2 other dishes for sharing between the 2 of us and we were quite full at the end. A la carte prices are listed for your reference. The Omakase started with the Bigeye & Bluefin Toro Tartar with Caviar ($32) which was a rather refreshing dish due to the wasabi sauce that it sat on top of. The dish is eaten with a little spoon and you'll definitely get some spicy sauce that is guaranteed to clear any congested nose. Interesting presentation. Next was the Yellowtail Sashimi Salad with Matsuhisa Dressing ($24). This dressing was created by Nobu to make sashimi more appealing to the salad eating Americans. The base was a light vinegar soy with hints of sesame oil and caramelized onions.The fish was so so but it was lifting on the whole with the shredded daikon, pumpkin and cucumber. 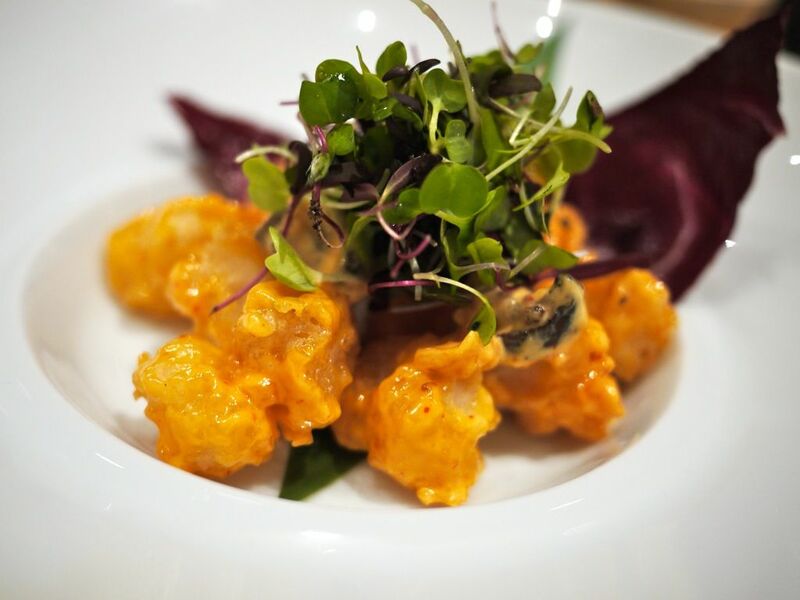 Rock Shrimp Tempura with creamy spicy sauce ($21) is one of my favorite dishes at Nobu. I loved the crunchy and light batter which coats the bouncy shrimp bites. This is a snack that i'll always order even if i dine at Nobu all the time. I love it as much as i do Sushi Tei's Hanasaki Ika Tempura (a little insulting but that's pretty good too). The perfection that is the Black Cod with Miso ($32) was every bit that i have imagined and better. 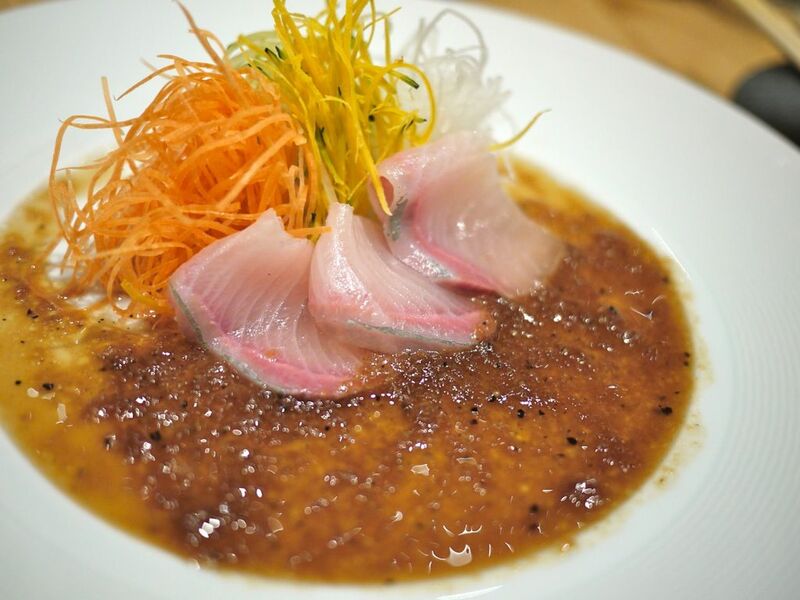 This is a dish that many chefs replicate around the world but Nobu still does it the best. 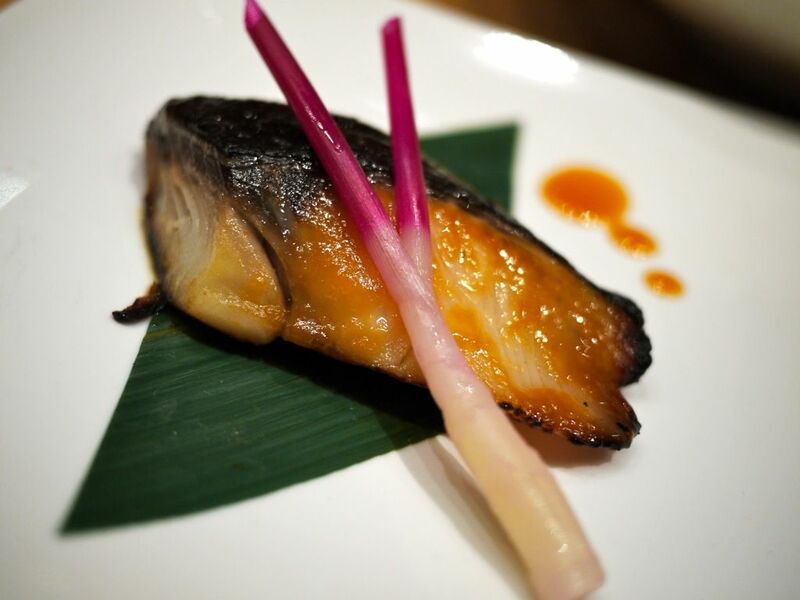 The fish is marinated in the sake-miso sauce for 2-3 days before baking to give it sweetness. I must say this is THE perfect match for the plump fish fillet. The thing that Nobu does terribly is sushi and sashimi. My assorted sushi was so bad i couldn't bear to finish it. The rice was lacking in flavor and didn't hold well due to its dryness. The fish didn't taste particularly fresh and the texture was just off. Our side order of the Nobu Special Donburi Chirashi ($34) was also too meh for me to wanna describe it. 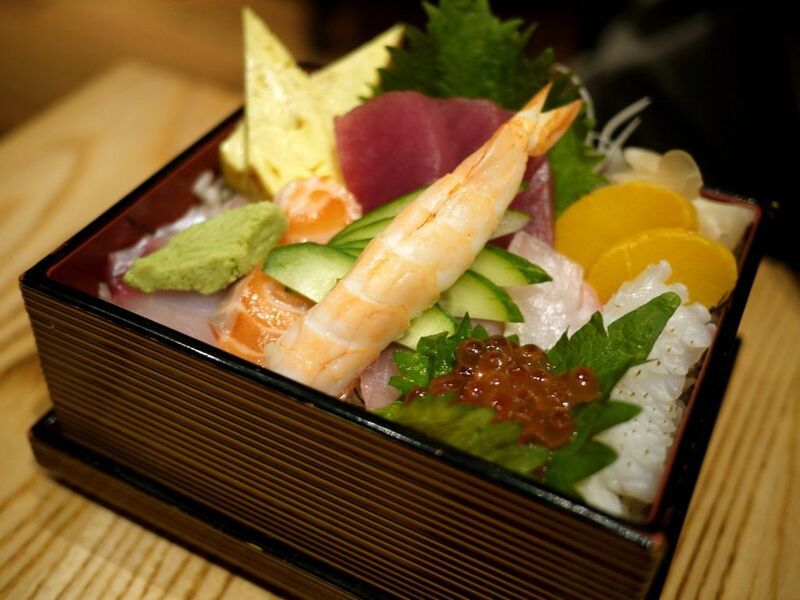 My regular sushi places in Singapore do better chirashi than Nobu. I kid you not. 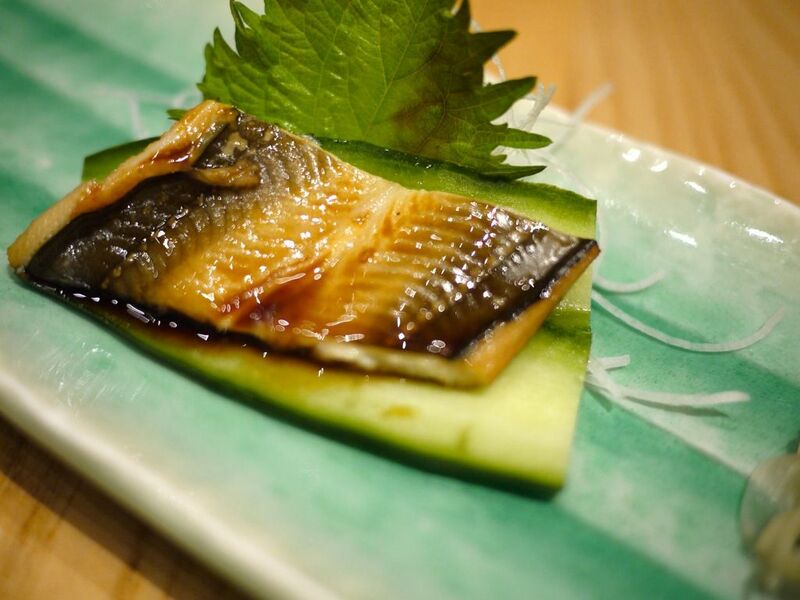 The Anago Eel ($6.5) fared a little better with its slightly creamy but powdery texture. Of course I've had better ones in Tsukiji but this was bearable. 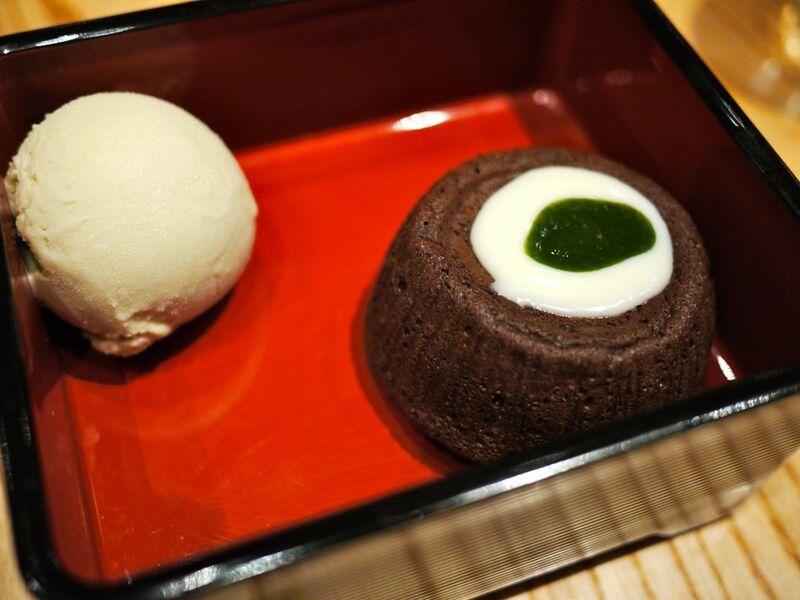 Our meal ended with the plain Bento Box ($12) which is a warm Valrhona chocolate soufflé cake with shiso syrup, white chocolate sauce and green tea ice cream. Little thought went into this one. The cake wasn't all that molten and the green tea ice cream lacked the intensity of the matcha. 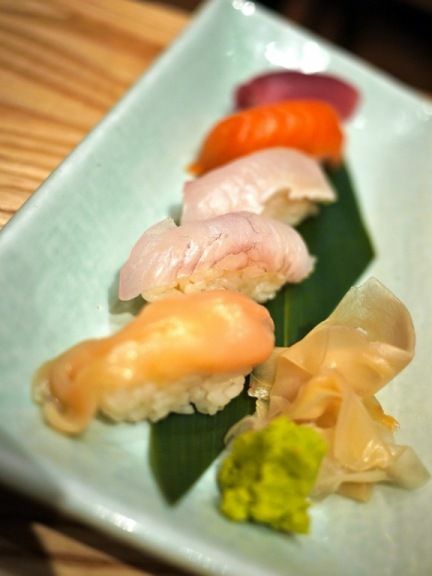 If you do go to Nobu, just stick to their signature dishes and NEVER do their sushi and sashimi. Overall it's an a-ok experience. Just a little disappointing because i was expecting the wow factor.